I was at Sam’s Club the other day and bought a huge case of Capri Suns for kid lunches. When I got home, I pulled one out for me to drink. Then, I got to thinking, wouldn’t this be a tasty treat with some alcohol mixed in? So that’s what prompted me to make some Capri Sun-gria as I like to call it. My absolute favorite Capri Sun flavor is Mountain Cooler, even when I was a kid, it was my fave. 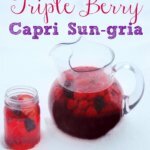 It’s full of berry flavors like raspberry and blackberry, so I thought it would be perfect to mix in for a delicious sangria. 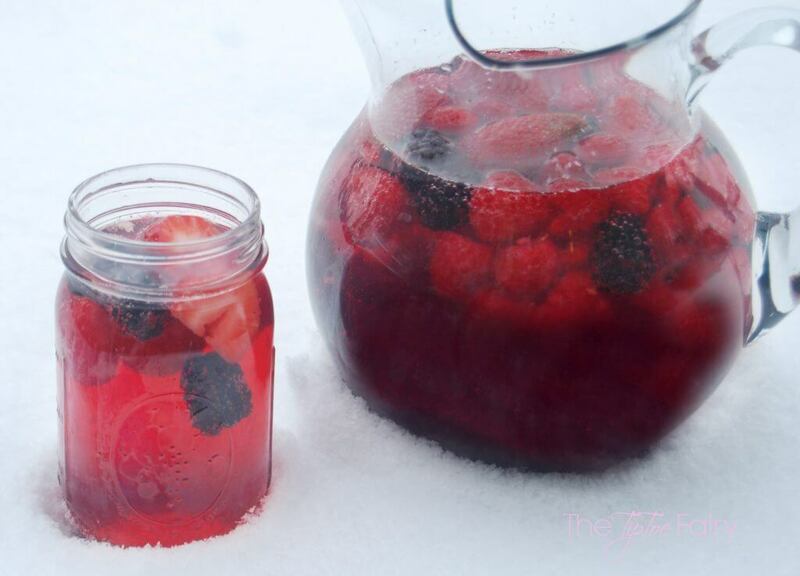 I added strawberries, blackberries, and raspberries to the pitcher. I used huge strawberries I cut into halves. 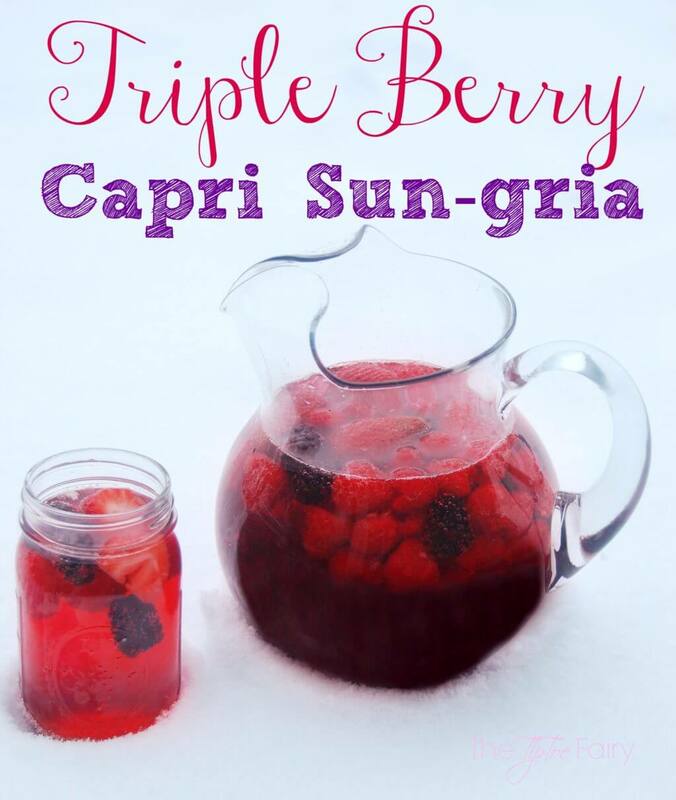 Have a fun sangria drink with Capri Sun — Sun-gria! 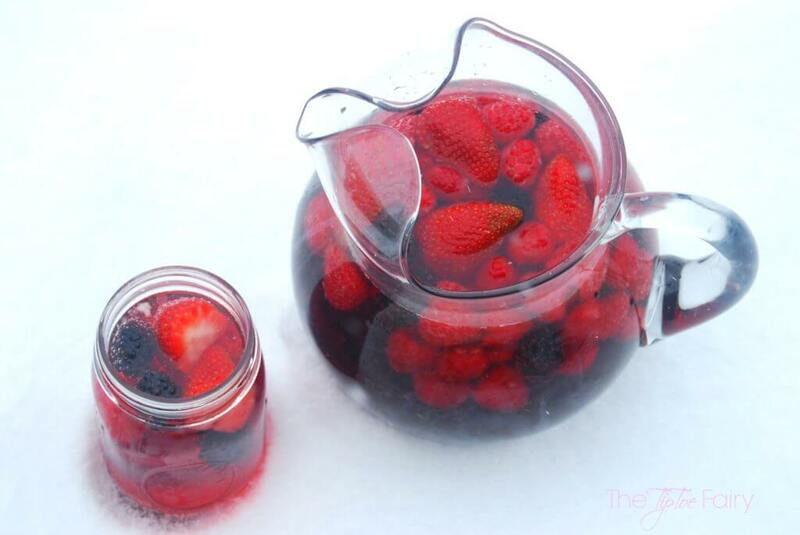 Wash the berries and add to the pitcher. Wash and slice the strawberries and add to the pitcher. Pour in cranberry juice cocktail. Add half a bottle of champagne. Chill for 30 minutes to an hour before serving. Then after you make a pitcher, head outside on a very snowy day in North Texas and set it out in the snow and take lots of pictures while the neighbors and their kids look at you weird. Next, come inside, turn on the Roku, get under an electric blanket, and drink a glass as you binge on House of Cards Season 3 while your kids are out playing in the snow. Are you ready for House of Cards on Netflix? Me too! Though I am being nice and waiting Nate. He’s coming home early because of the weather. Now this is what I’d say is using your mind! 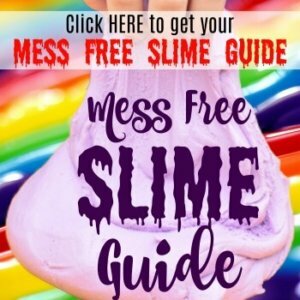 What a fun and festive idea! Yum! This looks so delicious and easy to make. Great idea. This sounds delicious! A good way to bring a little spring to the cold weather hu? 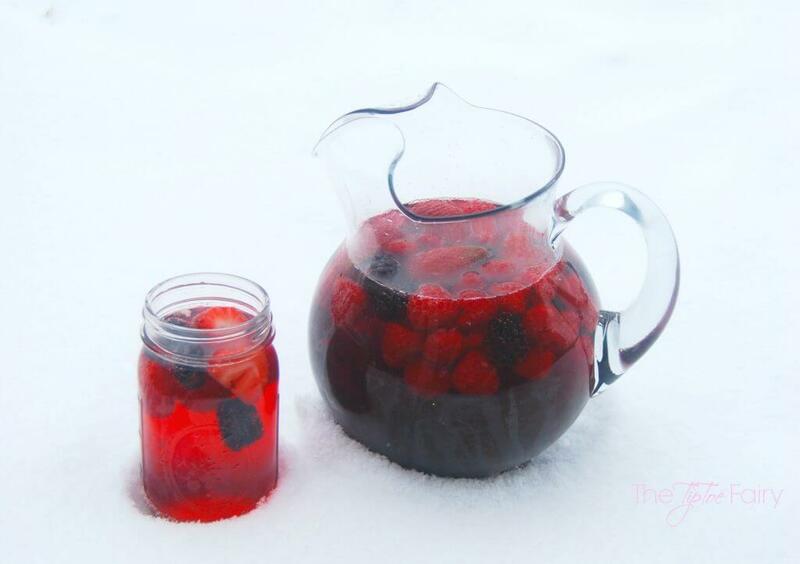 Winter wonderland sangria! 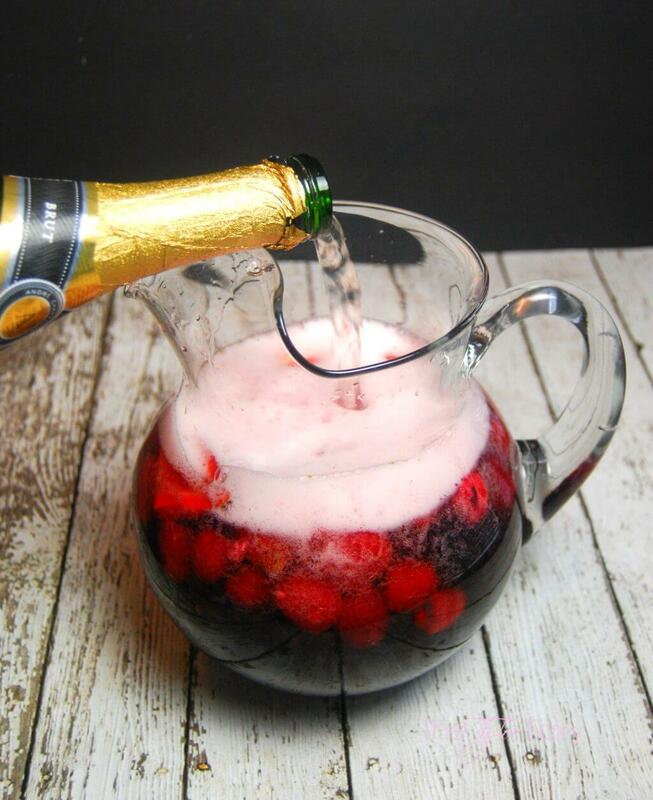 I love this fun drink and the extra bubbly that you added too! I am not a wine person but this sounds like something even I can handle! I love capri sun and those berry flavors sound great! That looks so good! 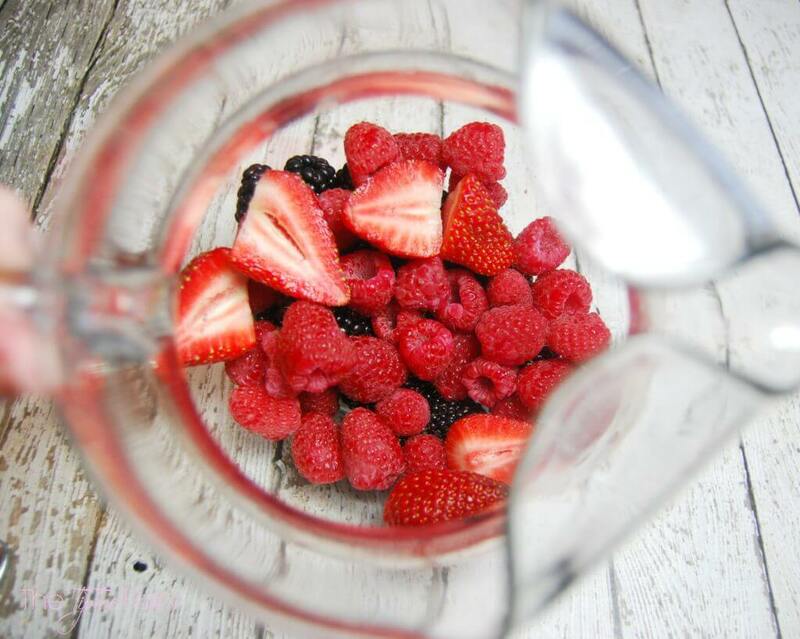 I love fresh berries! that looks amazing. I could so go for that right now!! What a fun idea to use capri suns! So creative!